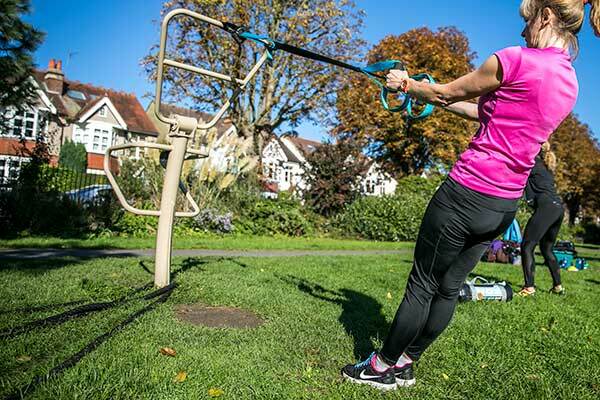 Boot camp in New Malden Surrey - Looking for a fun way to get fit? Outdoor boot camp exercises are tailored to meet all levels of ability from the absolute beginner through to the seasoned athlete. Full training is provided on the exercise equipment, including Kettlebells, Suspension Trainers, Core Bags, Battle Ropes, Slam Balls and Boxing Gloves. 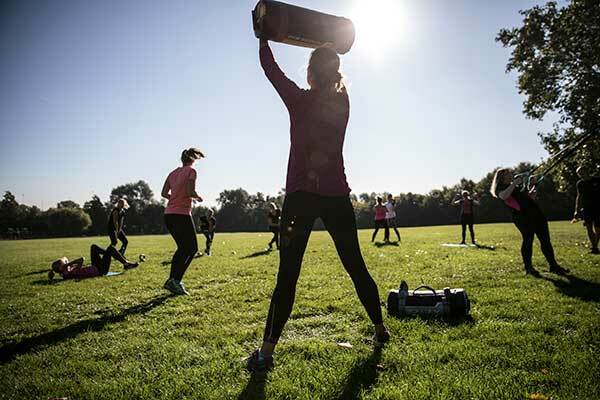 Boot camp exercise classes run throughout the year in Beverley Park New Malden, Surrey. Register now for boot camp to get fit, lose weight and tone up with like minded local people in a fun and social environment. Training with Pete quickly started making a difference to my shape, energy levels, confidence and overall feeling of fitness and well being. Pete kept things simple but highly effective. He started with my mind, then my body followed. And the biggest bonus - no saggy bingo wings and a better silhouette in my favourite jeans. Thank you Pete, I will be raving about you until the cows come home.